A Map of Time by Felix J. Palma. 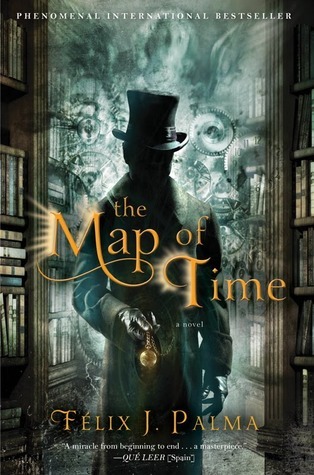 Set in Victorian London with characters real and imagined, The Map of Time is a page-turner that boasts a triple play of intertwined plots in which a skeptical H.G. Wells is called upon to investigage purported incidents of time travel and to save lives and literary classics, including Dracula and The Time Machine, from being wiped from existence. What happens if we change history? lines. I think it added an element of realism because virtually everyone knows H. G.
Wells, and feeling like you know a character makes you feel like you’re part of the story. end of my story. Other than that, there was really no connection. them again, but never did. me wanting a bit more.